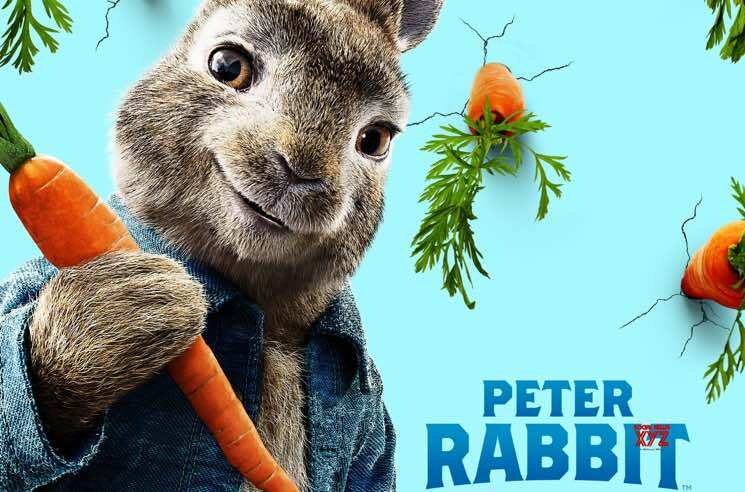 Vampire Weekend have been hard at work on their next album, but frontman Ezra Koenig still managed to find time to produce an anime series, write for Beyoncé and apparently pen songs for the new Peter Rabbit movie. Koenig co-wrote "I Promise You" from the animated film's soundtrack alongside director Will Gluck. A demo version by Koenig will appear on the Peter Rabbit OST, but right now you can hear leading man James Corden's rendition of the tune down below. According to IMDB, a handful of previously released Vampire Weekend songs also appear on the soundtrack, including "M79," "The Kids Don't Stand a Chance" and "Cousins." Peter Rabbit hits theatres in North America today. At this point, it's unclear if and when a proper soundtrack release could arrive.